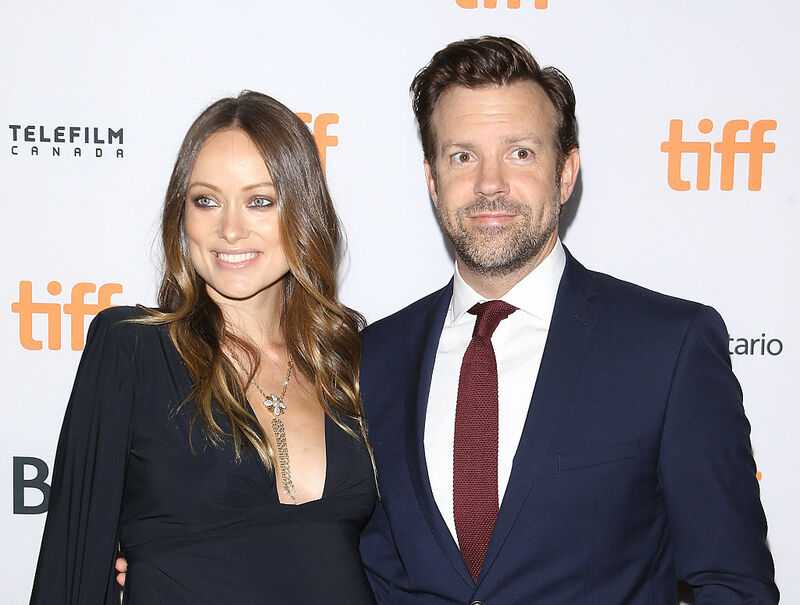 If there’s any celeb couple who probably has the best time all the time, it’s definitely Olivia Wilde and Jason Sudeikis. Wilde and Sudeikis aren’t married (yet), but they’ve been together for eight glorious years. So the fact that they still find each other hilarious is so beautiful, and not at all surprising. Because hellloooo, they’re both insanely funny humans. Wilde posted an adorable photo of her and her fiancé on Instagram, with the caption “Crack ups,” and they clearly love laughing just as much as they love each other. The couple got engaged back in 2013, but have yet to make it official. Wilde explained their position on marriage to NET-A-PORTER’s The EDIT last year — specifically, why she doesn’t feel like she needs a paper contract to remain committed. "We are seriously connected," she told the publication. "Before you have a child, marriage is the ultimate commitment and promise to one another, and then once you have a child, it's like, ‘Oh, we're committed and promised already.'" Wilde and Sudeikis have two adorable kids together — two-year-old Otis and three-month-old Daisy. Aside from Wilde and Sudeikis always having the best time together, we can only imagine what it’s like/will be like for their kids as they grow up with their two hilarious parents!